Based out of Sydney, Pure Edge is a sports nutrition company with a twist. Based out of Sydney, Pure Edge is a sports nutrition company with a twist. 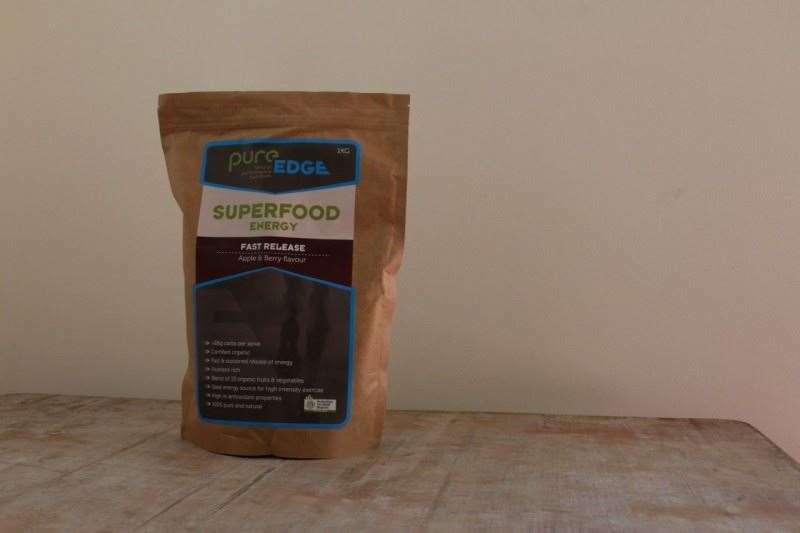 Formerly known as Essential Sports Performance Nutrition, Pure Edge has developed their products using natural and Australian Certified Organic ingredients. In fact, I can recognise every single ingredient on the side of their packaging, with not a single chemical or E-number in sight. The Pure Edge product range sits in contrast alongside the sticky gels and sweet Isotonic drinks that we typically see in bike shops, but that’s kind of the point. I’ve been using and testing a variety of Pure Edge’s products over the past 6 months, so here’s a rundown of my favourites. Designed to provide a pre-ride energy boost, Superfood Energy is packed full of powerful natural ingredients. It combines 10 different fruits and vegetables into a nutrient-rich drink that’s got antioxidants, prebiotics and other good stuff. Each serve contains 26 grams of carbohydrates, with no artificial sweeteners or flavours in sight. One serve of Superfood Energy powder involves 300ml of water and 2 tablespoons of powder. Give it a real good shake to mix it all together, then hoof it down about 30 minutes prior to riding. The Apple Berry flavour has a pleasant and decidedly ‘normal’ taste that appealed to me and every other rider who tried it. While it has some sweetness from those fruit-based ingredients, you don’t feel like you need to brush your teeth after drinking it. The best thing about Superfood Energy is its versatility. I really dig it as a pre-race energy boost before tackling a 50km marathon or a Gravity Enduro race, but I’m also quite happy putting a bottle of it on the bike for a weekend trail ride too. Superfood Energy has also become my go-to drink for early morning training rides, when I’m typically not ready to eat any solids, but I’m also disinterested in sugary isotonic drinks. It doesn’t have the same electrolyte profile that you’ll get in an Isotonic sports drink. So if you’re out on the bike for 3+ hours on a hot day, you’ll still want an electrolyte-based drink. For everything else however, Superfood is a great natural alternative. Designed by Pure Edge as a pre and/or post-ride drink, Re-Load is the perfect choice when the rides get longer, and the pace gets hotter. Compared to Superfood Energy, Re-Load contains more low and medium release carbohydrates, which helps with sustained energy support for longer distance riding. Needless to say, it’s the drink of choice for 24-hour World Champion, Jason English. 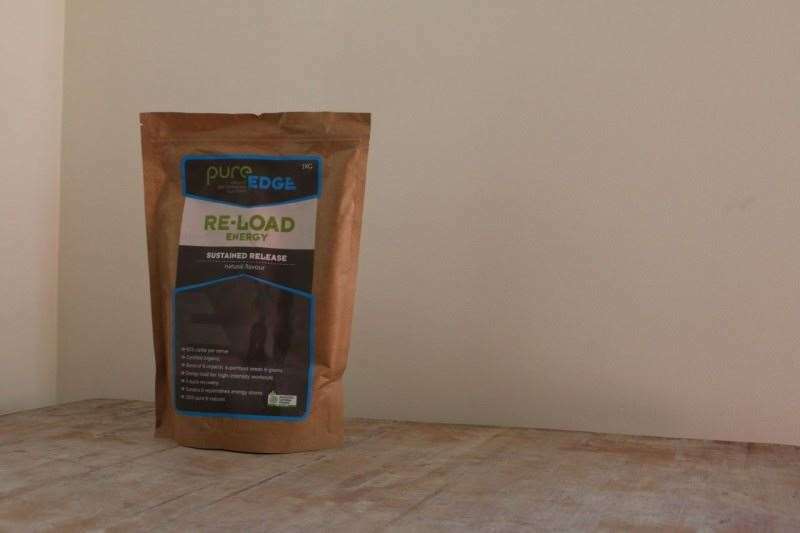 With a distinct focus on natural ingredients, Re-Load is formulated with nutrient-rich organic seeds and grains, including oat bran, buckwheat, quinoa and chia. Organic pea starch helps to load your muscles glycogen stores for longer-lasting energy, while plant based digestive enzymes assist with digestion and the conversion of complex carbs into energy. Those enzymes also mean that Re-Load settles in your gut much more easily than comparable energy drinks. You can mix two tablespoons of Re-Load with either 300ml of water or milk. It features a neutral flavour that takes some getting used to, and you need to mix it really well to avoid the powder from forming a sludge at the bottom of the glass. While Re-Load Energy is unlike any other sports nutrition product I’ve tried before, it’s quickly become one of my favourites. I use it on a weekly basis before heading out for a night-ride after work, where those grains and seeds help to keep the hunger away until we reach the pub at the end of the ride. If I’ve had a particularly busy day at work, it also makes for a great guilt-free liquid snack at 3pm. When my training gets more serious, Re-Load is perfect for carbo-loading 2-3 days before a big race, where the naturally occurring Omega-3s and electrolytes also assist with muscle cell hydration. It’s also great for replenishing the body’s glycogen stores for recovering between race runs or a multi-stage race. Whichever way you use it though, Re-Load is an exceptionally effective way at delivering nutrients and energy into your body as liquid food. When it comes to recovery after a hard ride or race, there is nothing better for your aching legs than Pure Native Whey Protein Isolate. During intense exercise, your muscles experience a certain amount of damage from fatigue. Protein helps to repair this damage and assist with muscle growth, but it needs to be ingested and absorbed quickly to be effective. That’s where Pure Native WPI comes in. Compared to other protein drinks on the market that often contain a carbohydrate mix, Pure Edge’s formula is about as stripped back as you can get. It’s nearly 100% isolated protein, making it perfect for lean muscle development. This means it isn’t particularly sweet to drink, but I like that it isn’t packed full of sugar like a lot of competitors protein powders. To deliver this purposeful recovery drink, Pure Edge went to France to source high quality native whey protein from grass-fed cows. The formula is highly soluble for quick absorption and it also contains Leucine, which is an Amino Acid that helps to decrease overall recovery time. Although the Native WPI has been derived from fresh skimmed milk, Pure Edge has added lactase enzymes to improve digestion, even for those who are lactose intolerant. 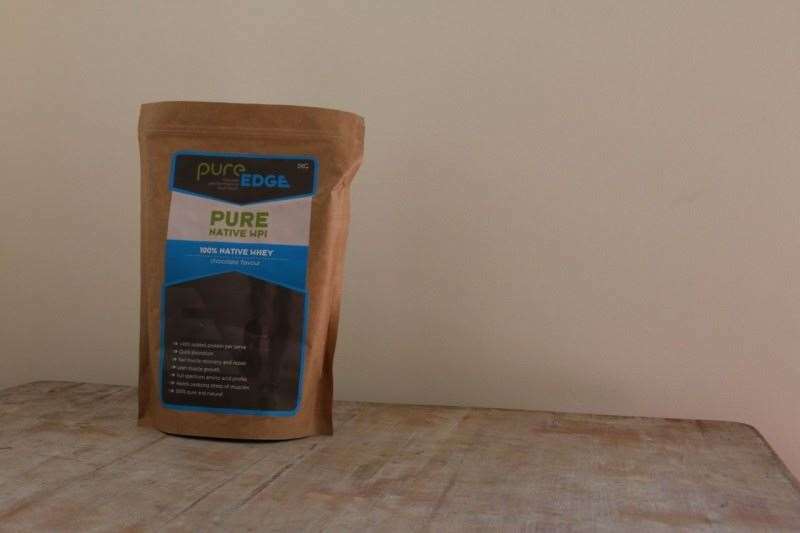 If you’re super sensitive to lactose though, Pure Edge also offer an alternative in their Organic Pea & Rice Protein drink, which features proteins derived from plants instead of milk. Within 30 minutes of finishing your race or training ride, simply blend 3 tablespoons of powder with 300ml of water or milk. If it’s been a particularly strenuous day out, add a tablespoon or two of Re-Load Energy for further energy restoration and muscle repair. In terms of tangible benefits, the easiest way to describe the effect of using Native WPI is just how much fresher your legs feel the next day after a tough ride. You get less fatigue in the muscles, and over time, you’ll also be helping to develop their growth and maintenance too. Check out the Pure Edge website for more details.